The word “Pranic” is derived from the Sanskrit word “Prana,” which essentially means “vital life force,” and it is the use of this “Prana” (or vital life force) that can heal the whole physical body. 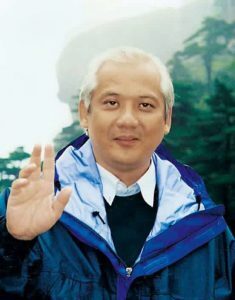 Pranic Healing© is an evolved and tested system of energy healing developed by GrandMaster Choa Kok Sui. Pranic Healing is a simple, yet powerful no-touch healing modality. It uses prana (also known as chi/ki) to balance, heal and transform the body’s energy systems. By working directly with your bioplasmic or energy body, congested stress energy is removed allowing the body to heal and recover at a faster rate. The client will sit in a comfortable chair for the healing. Pranic Healing is a non-touch healing modality, so I will use my hands and healing crystals, specially designed by GrandMaster Choa Kok Sui, to remove the negative/stress energies in the chakras and subtle bodies. The clients “job” during the healing is to relax and enjoy the process. To help facilitate a deep relaxation, I will guide you with breathing exercises. After a Pranic Healing session, it is recommended the client not bathe or shower for 12 – 24 hours. It is during this time that your body continues to absorb the clean prana. It is recommended that you shower or bathe prior to a session. A perfect introductory session for beginners or first-timers. © 2019 Michael J Espinoza. All rights reserved.